In the oil and gas market, emissions-free operations are typically desired and required. 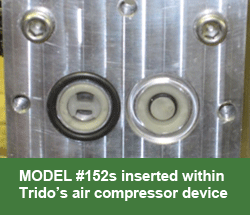 As an industry solution to meet regulations, Trido Industries offers air compressors featuring Smart Products' Side Seal Valves (pictured right). Trido's Solar Powered Instrument Air Compressor is an innovative and environmentally sustainable solution used by oil and gas producers to replace fuel gas, propane, or bottle gas at a well site. A battery powered design combined with a solar recharging system allows the compressors to be available for use anywhere a traditional power supply is unavailable. The compressors create compressed air to power instruments, pressure controllers, valve actuators, and more. These small, solar-powered compressors generate compressed air using two cylinders and pistons. For precise control of the inflow and outflow of air, Trido uses two Smart Products valves per cylinder for a total of four valves per compressor. The Model #152 at 5/8" size controls flow for pressures below 35 PSI and the Model #132 at 3/8" is designed to work with operating pressures over 35 PSI. 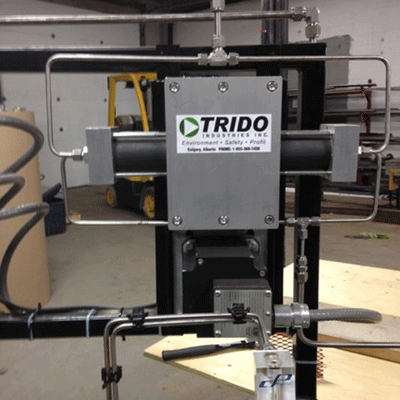 Trido has tested the valves for use in their device at about 500 hours of operation. The compressor was also designed so the valves can be quickly and easily changed out, when needed. The Side Seal style of these Model #s is especially beneficial to hold in-line valves in place and provide an extra barrier against leaks. Adhesives are also not necessary due to the sealing capabilities of the outside o-ring. "The success of the compressor depends on the efficiency of the power input to the compressed air output. After accessing a number of alternatives, Trido settled on the Smart Products valves. 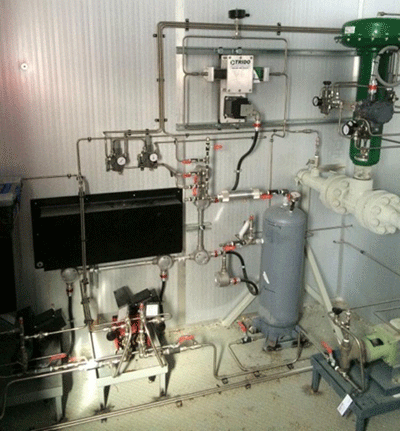 They offered an economical and high-efficiency valve system," says Dr. Jim Graham, Product Development and Marketing with Trido Industries, Inc. Per Trido's website, their air compressors enable successful solar-power for an entire well site in the harshest conditions. For more information about Trido's Solar Powered Instrument Air Compressor, click here. The customizable nature of our valves allowed us to create two ideal options for Trido's unique design criteria. 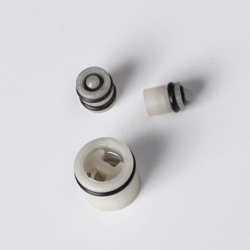 At Smart Products, we build all of our valves by plastic body and o-ring materials, as well as a precise opening PSI.